There is a lot of information available on the heat sink manufacturing and many companies that offer extruded aluminum heat sink manufacturing services. But what should you look for? The company should have the ability to design and manufacture thermal management solutions that meets your specific requirements and needs. As a custom aluminum extrusion company, Getec Industrial has the tools, equipment, process and years of experience necessary to assure that the aluminum extrusion design for your heat sinks match your exact performance requirements. Most aluminum heat sink suppliers are satisfied by providing products with a less than 6:1 aspect ratio, many times there is a need for high aspect ratio extrusions, up to 20:1 or even 30:1. Getec specializes in this type of thermal management solution. A good extruded aluminum heat sink manufacturer has the technology and expertise to determine which type of design will work best with your thermal management needs. 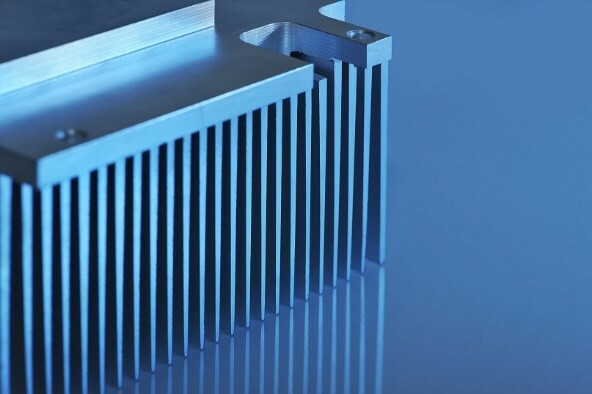 Whether this involves the use of special cutting and shaving tools to produce a skived fin from a single block of aluminum, or the use of precision forging to form high-precision heat sinks, a flexibility in aluminum extrusion design is essential to assure that your heat sinks perform the way as you expect. To learn more about Getec Industrial, or how we can be your custom aluminum extrusion manufacturer of choice, visit us at our website: https://getecna.com.